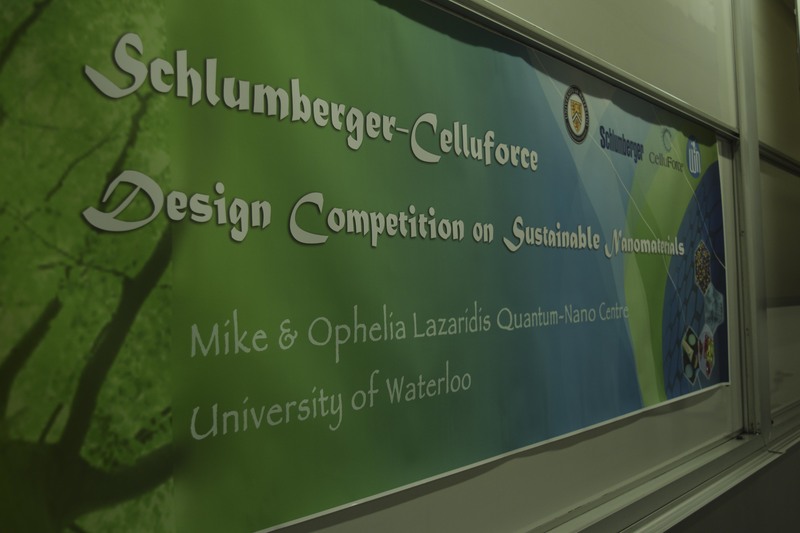 The Quantum Nano Centre looked sharp Nov. 26 as it filled with nanoengineering students, dressed to impress the nanotech professionals there to judge the students’ innovative inventions at the Schlumberger-CelluForce Design Competition. Each group of students had to produce a presentation describing an innovation that incorporated the use of crystalline nano cellulose, or CNCs. The projects were given at the beginning of term and had taken months to complete. The presentation and the judges’ verdicts act as the final assignment for the third-year students. After their presentations, which included market research, lab results, and patent plans, the groups were subjected to a round of thoughtful and tough questions from the judges. Each group answered their questions successfully, many being able to confirm their responses with data and publications. The groups were able to give real life applications for their innovations. The winning team, led by Austin Boucinha, actually spoke to a dentist regarding their tooth sealant. Other topics included using CNCs to help seal concrete, heal acne, improve food shipping, and improve dental health. The competition was sponsored by CelluForce Inc., a provider of CNCs for all type of projects with a strong platform of sustainable development. The winners of the top prize received a cash prize of $500. Cash prizes for second through fifth place were awarded, as well as a prize of $150 to for the group deemed to have the best commercial potential. Despite the pressure of cash prizes, judges, and a lecture hall full of fellow students, most of the presenters remained stoic and enjoyed their time to shine for industry professionals. 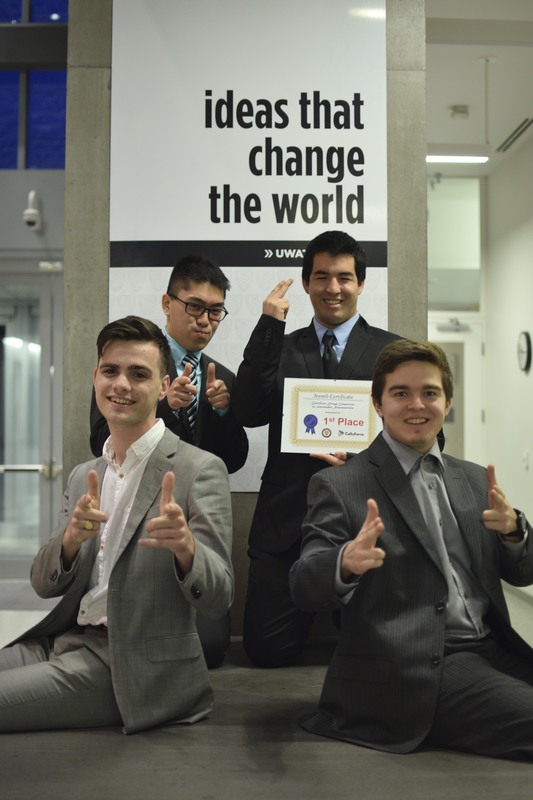 Competitions like this are essential for student development in the nanoengineering department, allowing students to learn to not only impress in the lab but also in the board room.